Taylor Swift fans will be met with a new look this morning from the country music star as she has not only posted a video teasing the arrival of a new haircut, she's also posted the first picture of the new do. 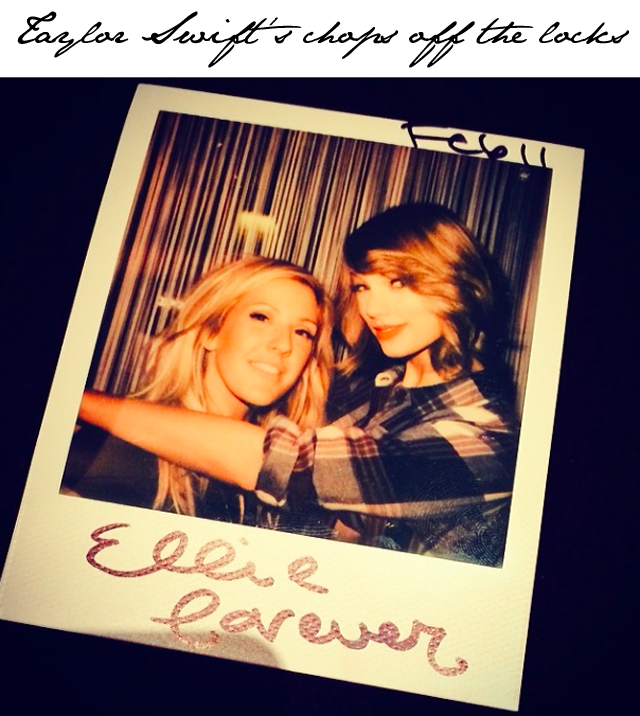 Sharing a picture from London, Swifty showcases a Polaroid with one Ellie Goulding and her new short cut. Not to panic, though, as it's a mere shoulder sweeping number. When we first got wind of the situation we were thinking Taylor Swift may have joined the pixie cut crew. Not the case at all. Oh, and we should share the teaser. Taylor told her fans she was getting a haircut and used a video of reactions that made us all think we were about to see the greatest transformation in history. As it turns out, we're only talking a few inches, folks.